I would buy it again and again.. I love this fridge. 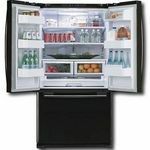 It is very easy to keep clean and has plenty of room in the fridge to store things. The interior lights are bright and light up all the corners very well. Shelves adjust well to adapt to tall jugs. The ice maker can be loud but not annoyingly so. The freezer drawer is not to deep that things get lost. 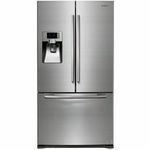 This is the best fridge I have owned and would recommend it to anyone. I love this fridge. It has a stylish design, I love the bottom drawer freezer. It has so much room, the shelves are moveable so you can customize to your needs! Best refrigerator Ive ever owned!! When my old one retired , I did a lot of research before purchasing a new one and am so happy with my decision. 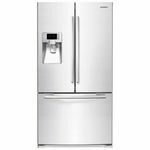 It has every feature you need , an icemaker , a spacemaking exterior door for drinks and condiments , plenty of space , temperature controlled zones for meats and vegetables. Its amazing. Great fridge and ice makers works great! 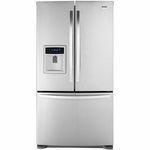 I love this whirlpool Refrigerator! It really worked great! 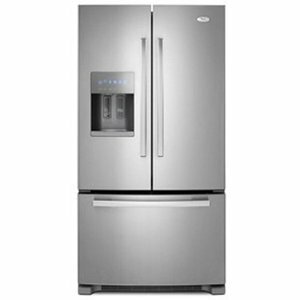 We bought this one for our new house and my husband has been wanting a fridge that has an ice maker. 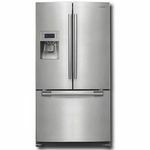 It maintains its temperature and produces more ice than ever. Love the dual french doors and spacious racks. I rely on this brand.